HEWI received the much-coveted red dot design prize twice. Both the Sanitary System 815 and the variable length washbasins received awards. The new System 815 accessories have therefore already won two internationally renowned competitions – apart from the red dot award:product design 2014 they also won the iF product design award 2014. In the case of the red dot award, 4815 submissions from 53 countries competed for the coveted quality seal for outstanding design quality. The jury of design experts were convinced by the Sanitary System 815, because it is multi-generational and can be used intuitively. It can also be complemented with the WARM TOUCH accessibility products and therefore fulfils the highest standards of comfort, convenience and safety. The variable length washbasins not only provide integrated accessible functions, but also the option of having the washbasin made individually with millimetre precision. 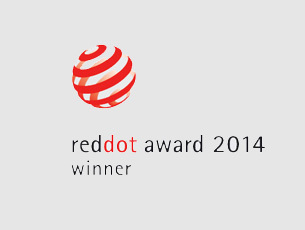 The red dot award ceremony will be held in its traditional venue, the Aalto Theater in Essen, on 7 July 2014. The sanitary System 815 and the variable length washbasins will be exhibited in the red dot design museum, in the Zeche Zollverein in Essen, in the special exhibition to be held from 8 July to 3 August 2014.